This article explores several key issues that parents of children with disabilities should consider and questions to ask when thinking about charter schools or voucher programs. Parents of children with disabilities have an endless series of decisions to make regarding their child’s education. These decisions include selecting a public school system that will be supportive of their child’s needs, identifying the appropriate services and supports that the school will provide, and agreeing to the classroom placement and location of services for their child. Over the past 10 years, yet another type of educational decision has become available for parents to consider. Many parents now have the option to decide if a charter school or a school choice voucher program presents the best educational opportunity for their child. 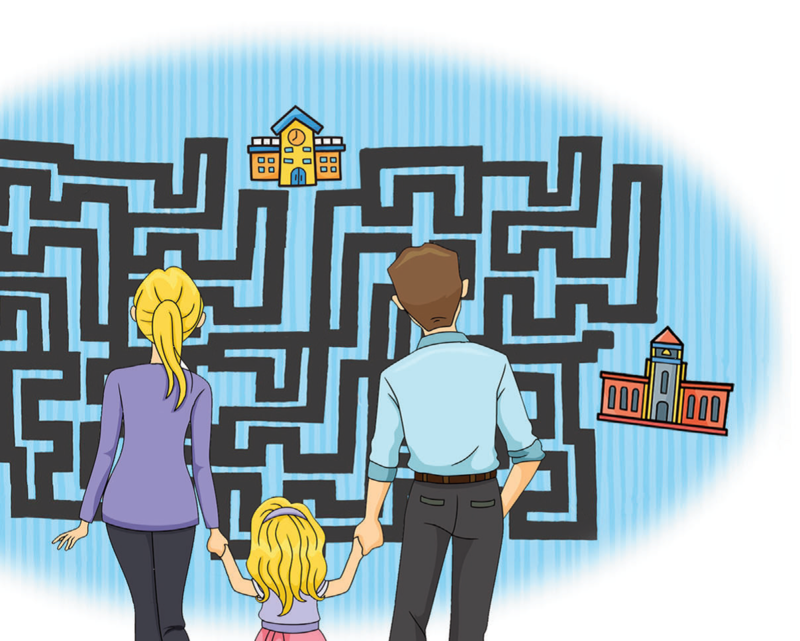 This article is written to help parents navigate the maze of school choice options. It explores several key issues that parents of children with disabilities should consider and questions to ask when thinking about charter schools or voucher programs. It also highlights some of the legal and practical benefits and challenges associated with these types of school choices. What are charter schools? Charter schools are public schools that operate under a different set of guidelines than traditional public schools. The key feature of a charter school is that it is self-governing. Instead of having to follow to every guideline and regulation that traditional public schools must follow, charter schools are allowed greater independence in determining the required qualifications of their teachers, the instructional methods and materials that will be used in the classrooms, how student learning will be measured, and the number of hours and days in the school year. To form a charter school, an organization or group of educators applies to their state or local education agency for approval. If approved, a charter is then granted so that the school can begin to operate. Are there charter schools in my state? Charter schools have grown steadily over the past 10 years. According to the United States Department of Education, there are now over 6,000 charter schools in 42 states and the District of Columbia that enroll a total of 2.2 million students. Unless you live in one of the states listed here, there is a reasonable chance that a charter school is located near you: Alabama, Kentucky, Montana, Nebraska, North Dakota, South Dakota, Vermont, and West Virginia. What services are provided for children with disabilities in charter schools? The two major federal laws that guide services for children with disabilities in public schools are the Individuals with Disabilities Education Act (IDEA) and Section 504 of the Rehabilitation Act (Section 504). Since charter schools are a type of public school, they are required to follow the provisions of both laws. This means that special education services provided through IDEA and the educational accommodations provided through Section 504 are available in charter schools. However, research and experience tell us that this may not always be the case in every charter school. Due to differences in state laws and local policies, some charter schools do not operate independently of their local public school district when it comes to providing services for children with disabilities. Children with disabilities such as dyslexia, attention deficit hyperactivity disorder, and speech-language impairments are typically able to attend charter schools and receive all services there. However, research has consistently demonstrated that children with more specialized and intensive support needs are often counseled out of charter schools and end up back at their local public school. The decision-making process is typically carried out between the family and administrators from both the charter school and local public school. Why do some parents choose charter schools for their child? There are several reasons why parents may feel that a charter school presents better educational opportunities for their child. Most charter schools have lower enrollment than local public schools. The availability of a more personalized atmosphere and smaller class sizes appeals to many parents and benefits many children. A common feature of many charter schools is having a specific academic focus or professional theme. For example, a charter school may be created as a science and technology academy or a school for business and entrepreneurship. This can also be beneficial for some children and families who want to grow and develop an academic or professional focus. Finally, research has shown that charter schools provide fewer separate special education classrooms. Most services are provided in general education classrooms. This has both appeal and benefit for many children with disabilities and their parents. What questions should I ask when deciding if a charter school is right for my child? If you decide that a charter school may be a good option for your child, schedule a meeting with the school’s special education service coordinator. Be sure to ask the following questions. The answers can help you decide if the charter school is the right fit. 1. Staff qualifications: Are there licensed special educators on staff? How many? And how many years of experience do they have? 2. Related services: Does the school offer services such as speech therapy, occupational therapy, physical therapy, adaptive physical education, or specialized transportation? If not, can the school arrange for these services to be provided? 3. Educational environment:Where will my child be educated? Are all services provided in the general education classroom? Are there resource room supports or separate special education classrooms? 4. Behavior and conduct policies: What classroom and behavior management strategies are used throughout the school? Is the focus on positive behavior supports or zero-tolerance punishments? Do the school’s conduct policies recognize that children with disabilities who have behavioral challenges are afforded special protections under the law? 5. Relationship with the local public school: How often do you communicate and collaborate with special educators in the local public schools? If issues or challenges arise, can we contact them for consultation or suggestions? What are voucher programs? In voucher programs, the state education agency provides a tuition voucher to eligible families that can be used to cover all or part of a child’s private schooling costs. Some states refer to vouchers as scholarship programs. Depending on state guidelines, the amount of the voucher is typically based on family income and size. Parents who receive a voucher are eligible to use that amount toward tuition costs at participating private schools. Instead of these funds being given to the local public school district, the state sends the funds to the private school. Both religious and non-religious private schools participate in voucher programs. Are there voucher programs in my state? There are 14 states plus the District of Columbia that have voucher programs, with over 166,000 students participating annually. Voucher programs in Arkansas, Florida, Georgia, Louisiana, Mississippi, North Carolina, Ohio, Oklahoma, Utah, and Wisconsin have vouchers that are specifically targeted towards children with disabilities. Colorado, Indiana, Maine, Vermont, and the District of Columbia have voucher programs that are geared toward all students, including children with disabilities. To make matters even more complex, an additional 14 states offer other forms of financial incentives for students to enroll in private schools through education savings accounts and tax credits. The states include Alabama, Arizona, Illinois, Iowa, Kansas, Minnesota, Montana, Nevada, New Hampshire, Pennsylvania, Rhode Island, South Carolina, Tennessee, and Virginia. What services are provided for children with disabilities through voucher programs? Most state voucher programs require participating schools to provide some type of individualized education plans for children with disabilities. However, since IDEA is a law geared towards public education, private schools are not required to implement all the provisions of special education that are followed by public schools. Parents who choose to send their child to a private school may have to agree to give up their rights under IDEA. This can mean losing the rights to have independent educational evaluations, mediation when conflicts arise, and a voice in determining the types and location of services provided to their child. By comparison, the educational accommodations provided through Section 504 are required to be provided in private schools since this law pertains to any school that receives federal funding of any kind. This means that children with disabilities should be able to receive accommodations such as extended time, separate testing environments, preferential seating, and specialized instructional materials just as they would at the local public school. Under Section 504, parental rights and due process procedures remain the same for parents of children with disabilities in most private schools. Why do some parents choose voucher programs for their child? Considering that parents may have to forgo many of their rights under special education law, this is an important question to ask. Recent research from The Council of Parent Attorneys and Advocates found that parents are willing to give up their legal protections if they feel that the private school is a better learning environment for their child. As is the case with charter schools, private schools may offer smaller class sizes, personalized learning opportunities, specialized academic materials, and non-traditional approaches for instruction and assessment that benefit children who learn in different ways. Parents who value religious education can find voucher programs to be desirable since the funds can be used for religiously-affiliated schools. There are also some parents who choose voucher programs mainly out of dissatisfaction with their local public schools. What questions should I ask when deciding if a voucher program is right for my child? The questions listed above for charter schools should also be asked when considering a voucher program. It is important that parents have information on staff qualifications, related services, educational environments, behavior and conduct policies, and the relationship between the private school and special educators in the local public school. Additionally, the following questions can help you decide if a voucher program is right for your child. Be sure to ask these at any private school that you are considering for your child. 1. Cost of tuition and fees: Does the voucher amount cover the full cost of tuition? Are there activity fees or other associated costs that will affect the total cost of attendance? 2. Individualized planning: What format does the private school use for individualized education planning? Does the format differ in any way from the Individualized Education Program (IEP) required by IDEA? If yes, how does the difference impact my child’s education? 3. Parental rights: Is there a document that outlines parental rights and protections for children with disabilities? Are any of the rights different from those provided by IDEA? If yes, how do they differ? 4. Experiences of other families: Have any other parents of children with disabilities decided to enroll their child in this private school? What has been their experience? Would it be possible to talk with them? With more opportunities than ever before, parents are navigating a maze of school choice options. While charter schools and voucher programs offer many educational benefits, parents should be informed consumers when deciding if these options are right for their child. Hopefully this article will assist you in making these important decisions for your child’s educational future. Dr. William Blackwell is an assistant professor of special education at Sam Houston State University in Huntsville, TX. His work focuses on school choice policies and children with disabilities. Almazan, Selene, and Denise Stile Marshall. School Vouchers and Students with Disabilities: Examining Impact in the Name of Choice. The Council of Parent Attorneys and Advocates, Inc., 2016. Blackwell, William. “An Era of Charter School Expansion: An Examination of Special Education in Massachusetts’ Charter Schools.” Journal of Disability Policy Studies, vol. 24, no. 2, 2012, pp. 75-87.